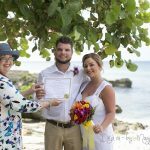 This couple from Woodslee, Ontario were in Cayman on the "Enchantment of the Seas" and tied the knot earlier this week at Governor's Beach. 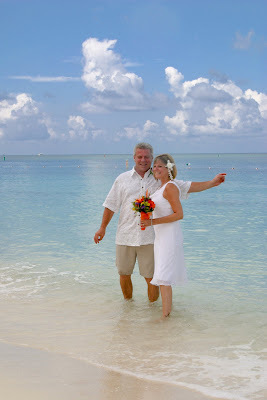 Since we got their Special Marriage License early, the beach was virtually deserted and it was not too hot. Although I must admit I am yearning for the most pleasant weather of October - May. See what I mean by deserted beach? 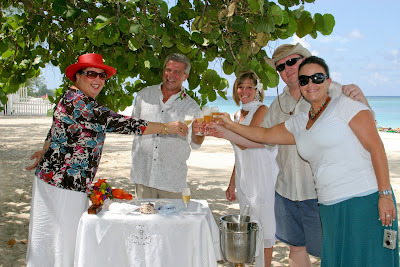 This affordable all-inclusive cruise wedding package available only from Simply Weddings, your Grand Cayman Wedding Celebrants and Planners, and cruise wedding specialists. 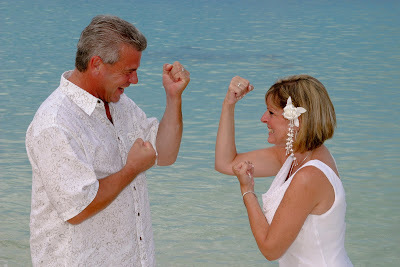 Only one cruise wedding per day, we want to give you our full attention. 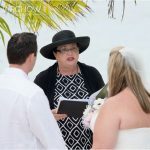 Find us on Facebook, follow "joyofweddings"on Twitter. 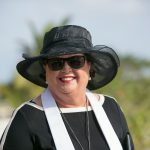 Our blog is updated at least twice a week with all the real weddings happening in the Cayman Islands. 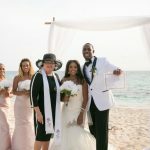 This ceremony by Joy for Simply Weddings, photos by Mari of Island Photos, flowers by Trisha's Roses. Call today (345)9499933 for an application and further details.